So a couple weekends ago I went to a big event. I had my ten year high school reunion!!! Okay fine. It was my 25 year. Good grief, how did I get this old? Like, seriously. I remember when I was IN high school and people “talked” about reunions. You know who goes to reunions? Old people. Yep. I’m one of them. But, I had a great time reconnecting with some friends (who probably didn’t remember me, but we had fun regardless). Of course, going with a group of girls that I’ve stayed in touch with over the years made the evening even better! But now, it’s back to daily life. Which lately includes going to this “beginner CrossFit” class. It’s for beginners like me, who hate working out. This week I showed up to my workout with a plate of cupcakes. Was it wrong? Yes. Most people don’t bring cupcakes to their trainer, LOL. But, if it earns me some points and her not killing me at my next workout, then it was worth it. 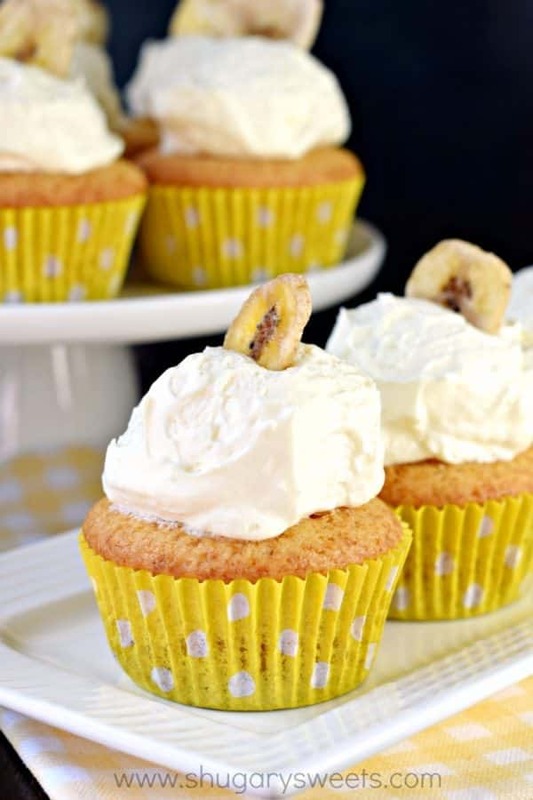 And these Banana Pudding Cupcakes ARE worth it. From the first bite, to the last bite, you’ll crave one after another! 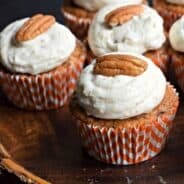 One of my absolute favorite cupcake recipes on the blog are these Watergate Cupcakes (which are an adaptation of THIS Watergate Cake). They are crazy moist and fluffy, from the pudding mix and the carbonated pop (<—-that’s what we midwesterners call “soda” or “Sprite” or “coke”). 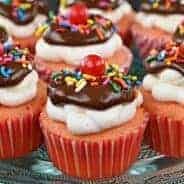 I topped them with a light pudding and Cool Whip “frosting.” You can make your own whipped cream if you prefer that over the Cool Whip. Totally acceptable! ENJOY!! Preheat oven to 350°F. Line cupcake pan with paper cupcake liners. (I love these no fade liners!) Set aside. In a large mixing bowl, beat together the cake mix, pudding mix, oil, eggs, and pop. Beat until light and fluffy (about two minutes). Using a large metal scoop (3 Tbsp), fill cupcake liners about 2/3 full. Bake for 20 minutes, removing from pan and allowing to cool completely before adding frosting. For the forsting, combine pudding mix with milk. Whisk until blended. Fol in thawed whipped topping. Refrigerate for about 15 minutes, while cupcakes are baking and cooling. 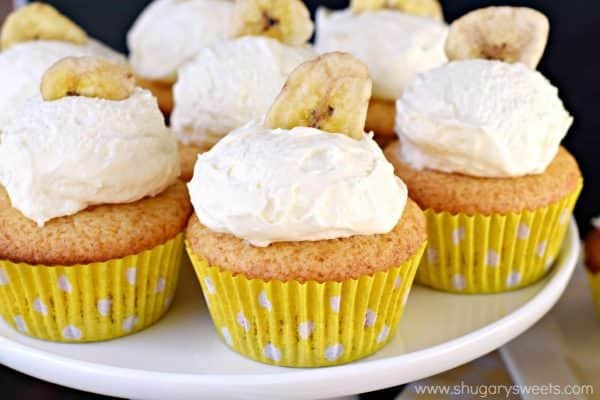 Using a cookie scoop, dollop the frosting onto the cooled cupcake and add banana chips for garnish. Store in refrigerator for up to 3 days, ENJOY! 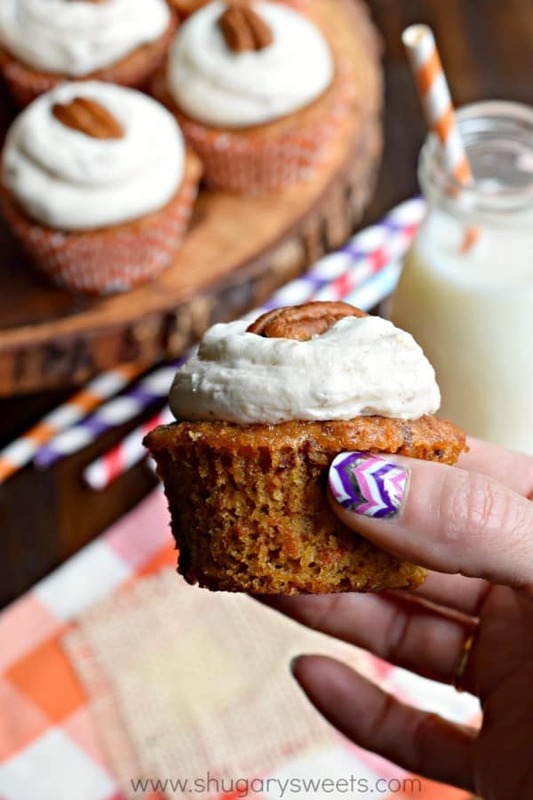 Cinnamon Spice Cupcakes: from scratch, these are a great fall treat! 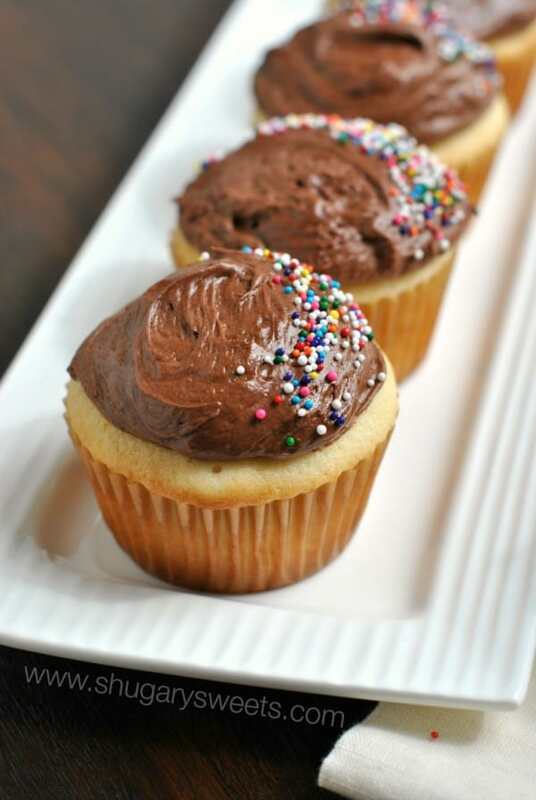 This classic YELLOW CUPCAKE with Chocolate frosting gets rave reviews! How clever, these look absolutely amazing! This is amazing. 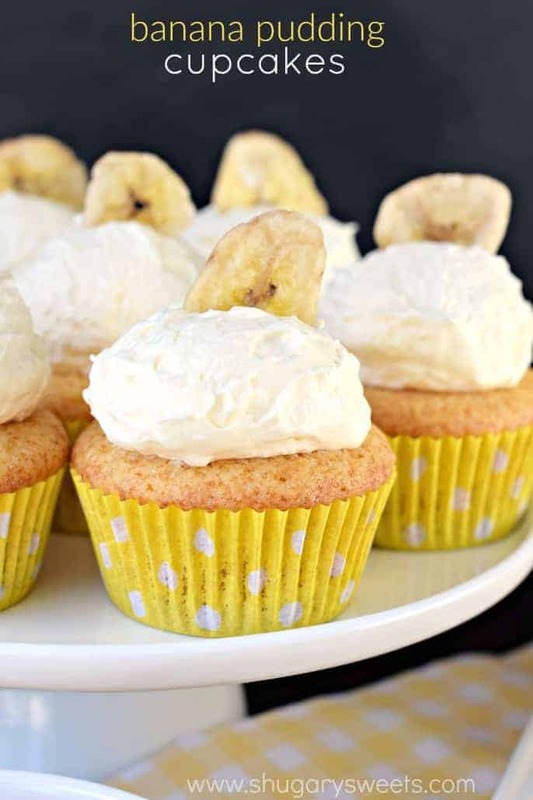 Two of my favorite foods – cake and banana pudding – in one delicious and adorable cupcake form. You win! 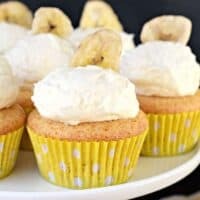 I love banana pudding, so I know I would go crazy for these cupcakes. 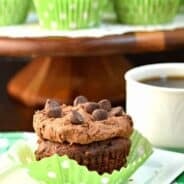 I love easy jazzed up cake mix recipes! That fluffy frosting looks divine!!! Haha! I’m pretty sure the crossfit class had a love hate thing going on with you that day! I would have taken one…probably two! You are so funny that you brought these to your trainer. Good move! 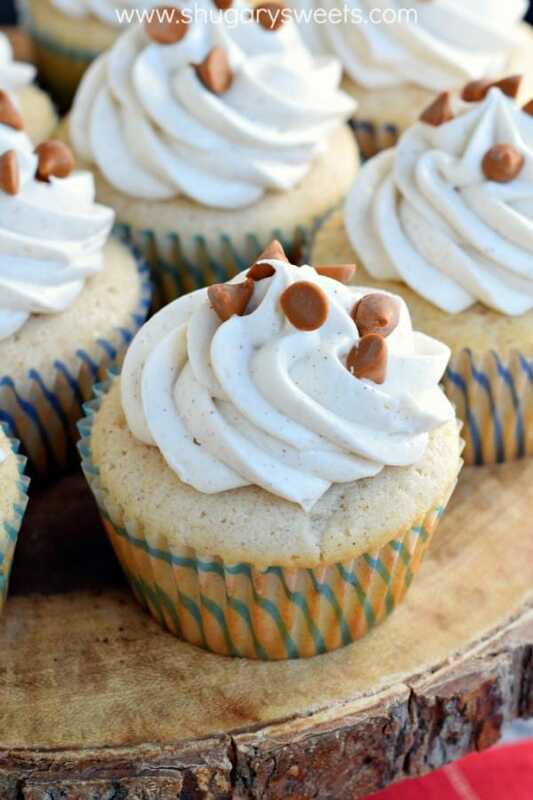 These cupcakes are perfection! These look insane–I must make them for my Banana Pudding loving husband. Especially since his 25th renuion is this year too! I’m pretty much in hysterics that you took these to your trainer! Haa! I might have to try that tactic 🙂 These are so yummy — love the banana flavor! How do you get the recipe? I’ve punched everything ! Bringing cupcakes to your trainer is so beautifully sassy. Love that! And these cupcakes look divine. I remember the Watergate cake, so this is pretty neat! Would this recipe work for a 9×13 cake? I have a restaurant and we give a piece of cake as dessert with the lunch special. I have never considered myself a baker but have been trying to jazz things up a bit lately, especially for Sunday (our busiest day, by far). Making cupcakes would be a tad time consuming so I generally try to stick to 9×13 cakes that I can cut into 24 pieces. Thank you!